BRITE-Constellation targets have been included in several observing programmes at different telescopes since January 2013. 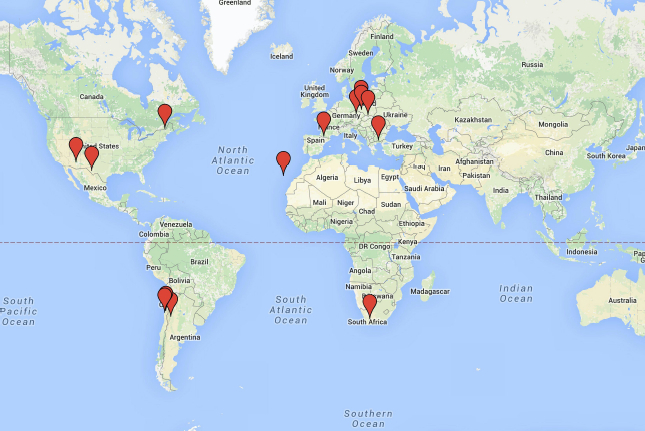 The location of all contributing observatories around the world can be seen on the map below. The table below gives and overview of the observatories and instruments involved in complementary support observations for BRITE-Constellation in alphabetical order. If you are interested to use one of the facilities, please contact the corresponding responsibles directly.